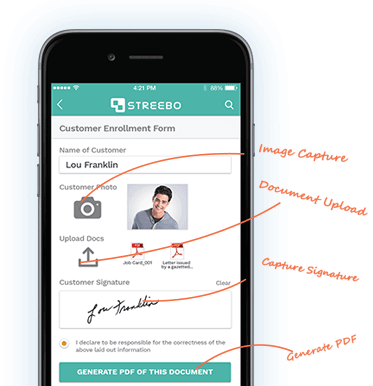 Document Upload: Collect all customer documents through mobile forms to eliminate need for emails or physical documentation. 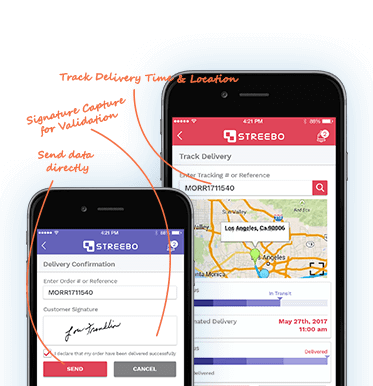 From field workers doing plant inspections to fleet companies managing shipment deliveries to service technicians handling customer complaints, Streebo Mobile Forms can help your organization to capture field data accurately and store all the data in your existing back-ends. 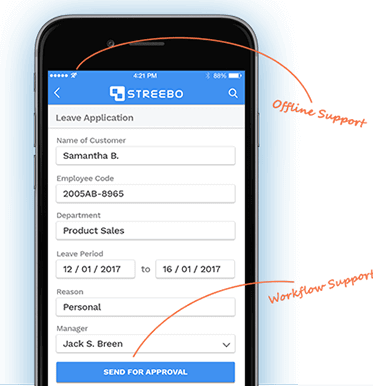 From employee leave requests to expense claims to food ordering forms in restaurants and room service forms in hospitality, Streebo Mobile Forms can mobilize a lot of manual or paper based process and in turn reduce manual errors and increase efficiency. Workflow Support: All the data collected can be routed to concerned departments and entire approval flow can be handled with this solution. 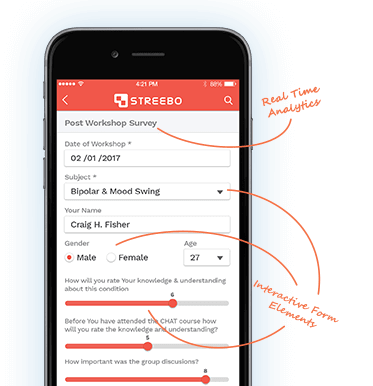 From traveler feedback forms for the transport industry to visitor satisfaction surveys in the hospitality industry to user survey forms for marketing managers, Streebo Mobile Forms can help you collect all the customer feedback at a single place.